OMEGA Globemaster, more than 50 years of inspiration and created in the true spirit of OMEGA, the Globemaster houses the brand’s most advanced mechanical movement and features a design inspired by early Constellation models that represent horological expertise and OMEGA’s legacy of precision and outstanding performance. Each watch is certified through a series of independent tests – a revolutionary process that establishes a new quality standard in the watch industry. Two design features that define the Globemaster are its dial, which is created in a style that watch collectors have long referred to as a pie-pan dial, and the “fluted” bezel, an element that has decorated several famous Constellation watches. OMEGA’s history also influenced the Globemaster’s caseback. Representing the precision awards that the watchmaker received for the outstanding performance of its movements during the famous chronometer observatory trials in the 1940s and 1950s is a medallion stamped with an image of a cupola of an observatory where the precision competitions took place. 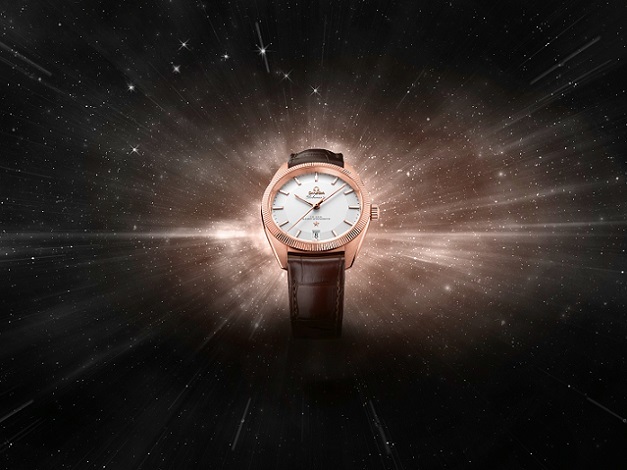 Eight stars in the sky above the observatory symbolize the most important precision records that OMEGA set and, reflecting how the brand’s commitment to quality has endured, the stars also signify the eight METAS-certified criteria that a timepiece and its movement must pass in order to receive Master Chronometer status.